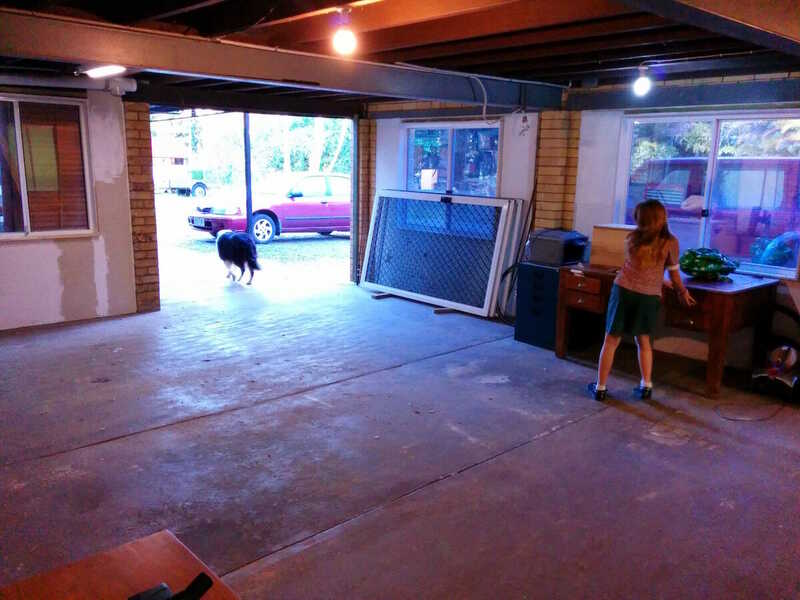 I have been working towards making a music room in the garage, (below the four upstairs bedrooms). 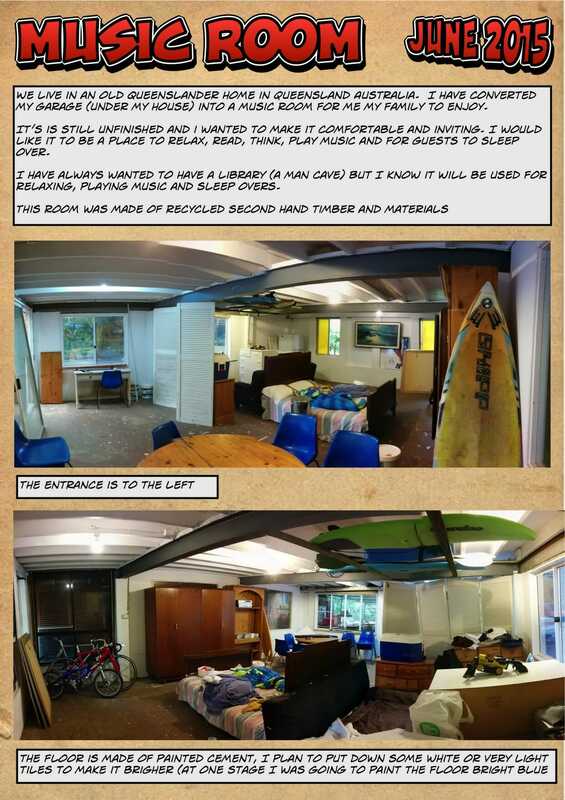 I have mostly used recycled material. 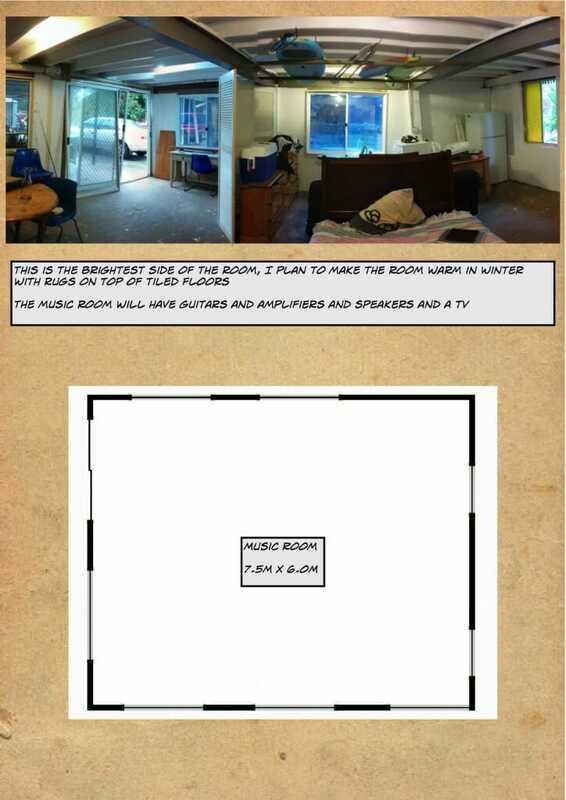 The project has been quite time consuming and is still incomplete. The idea is to have a retreat of sorts, a place for members of the family to find some quite and peace, or to be used as a place to gather with a few friends and enjoy a retreat from the general living area. The room could also be used as a guest room. 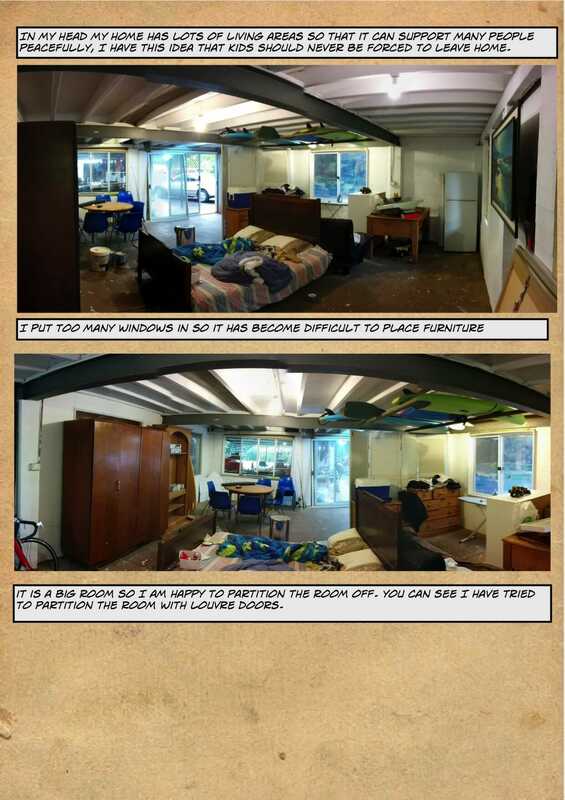 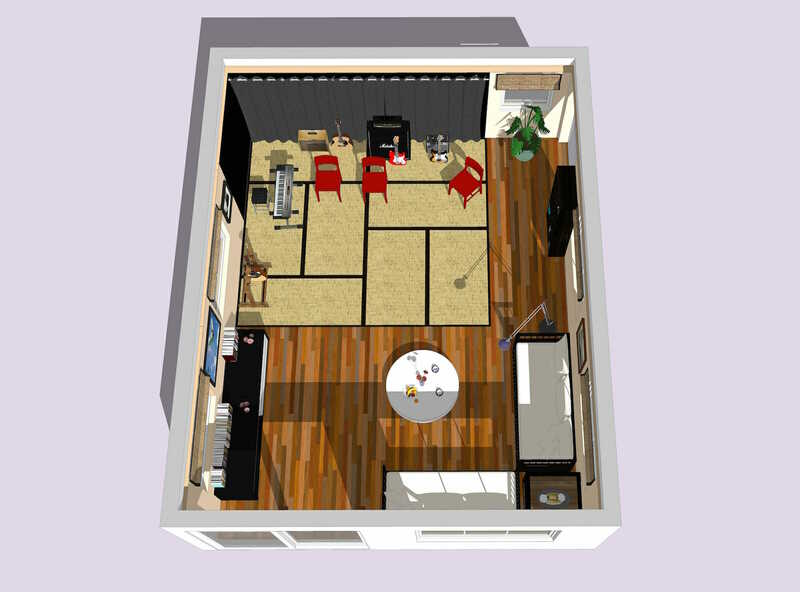 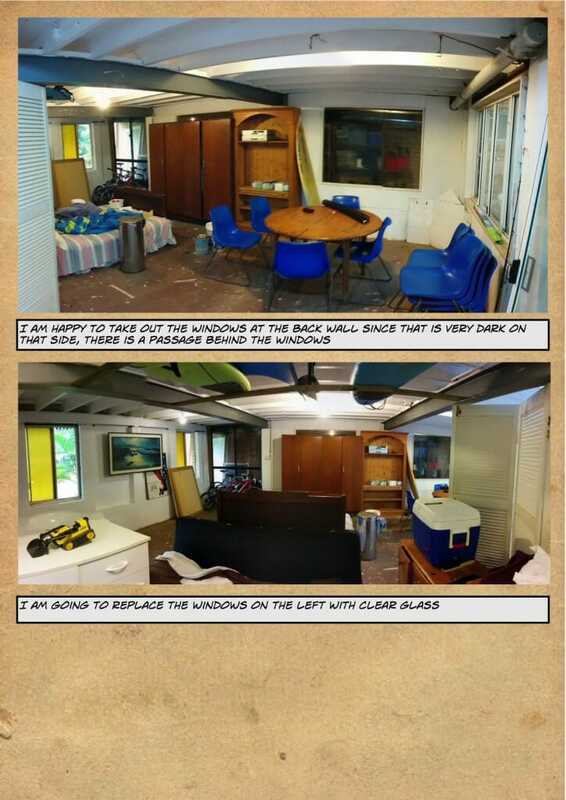 I have cleared out the room a few times during the build process because my goal is to have an uncluttered room, though in the comic below you will see that it is both unfinished and cluttered. 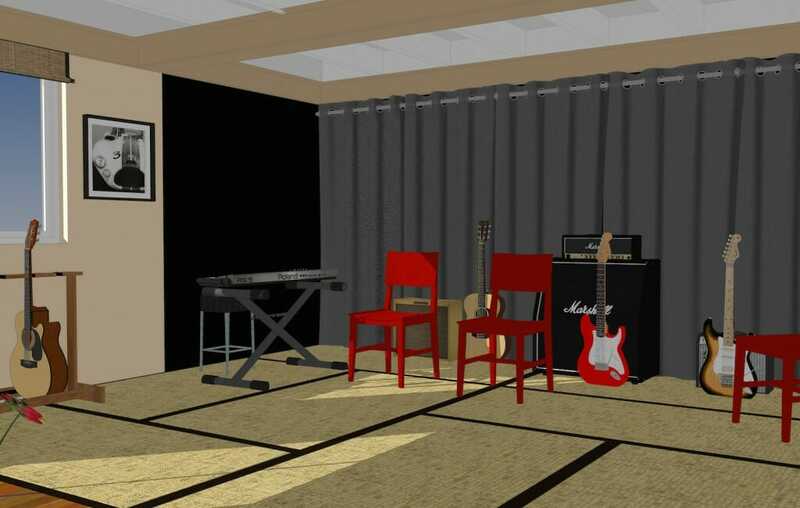 In an effort to get back on track I bought a Gig on Fiverr.com and Kars has put together a music room design to help me stay focus and to keep going forward. 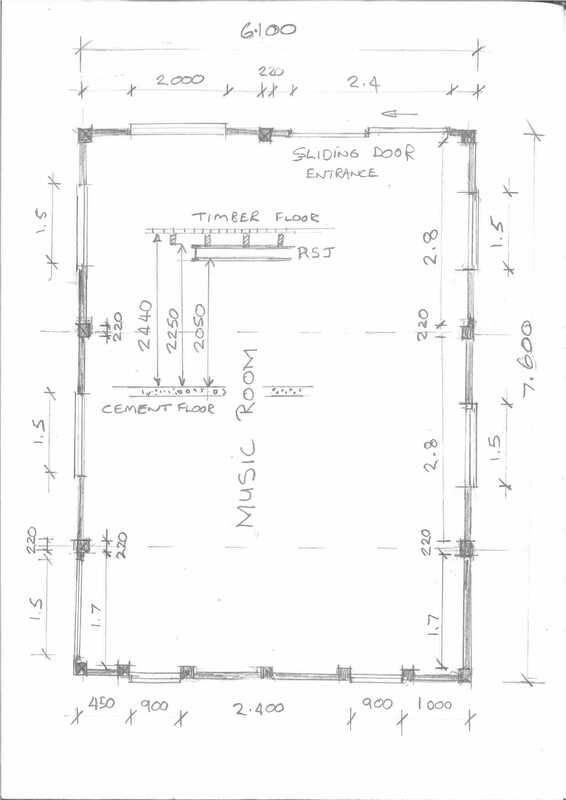 Music Room plan (not to scale, but reasonably accurate measurements). How I hope the Music Room will look. The main idea is that it has a open uncluttered design so that it can be used for reading and relaxing as well. 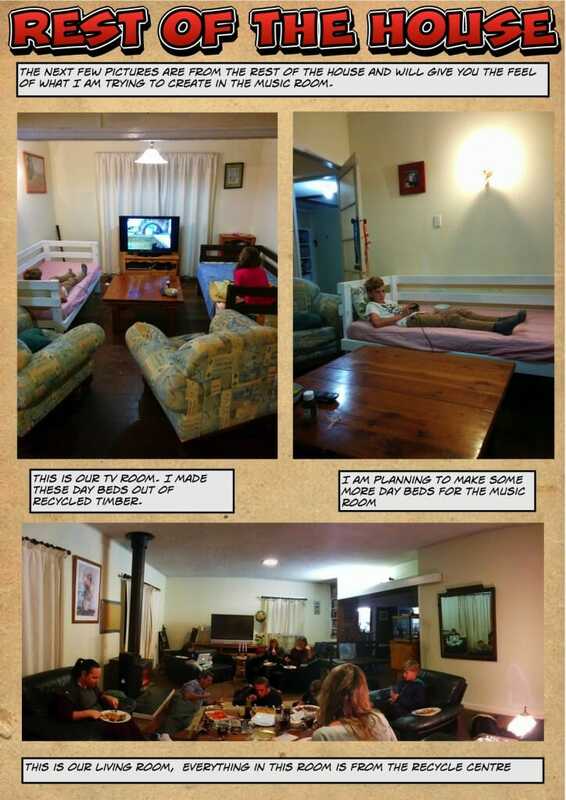 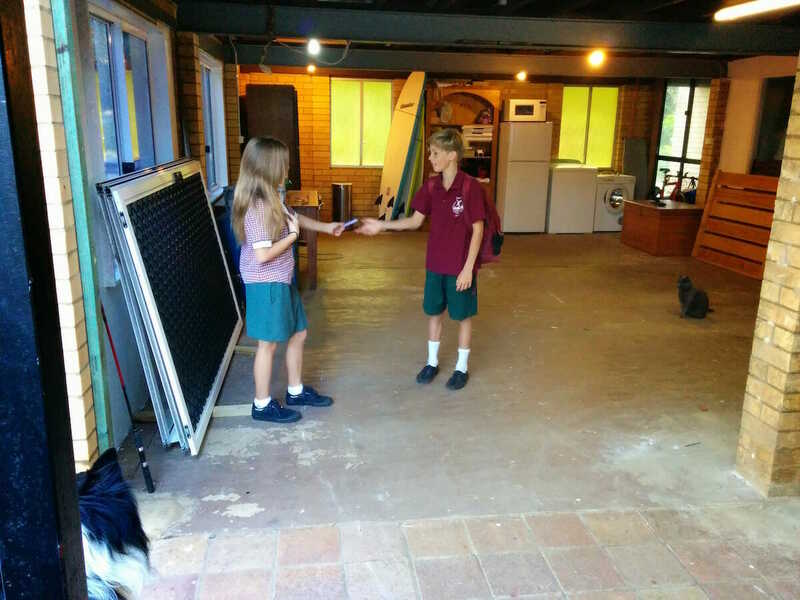 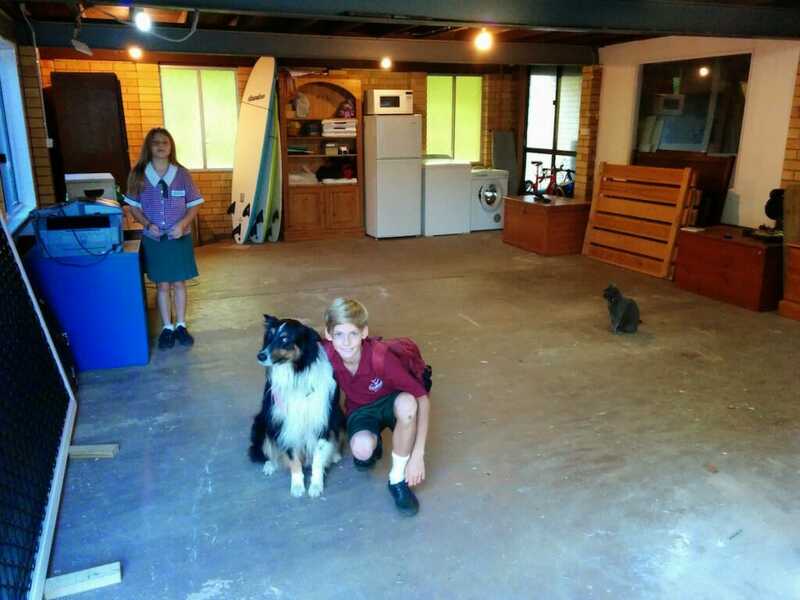 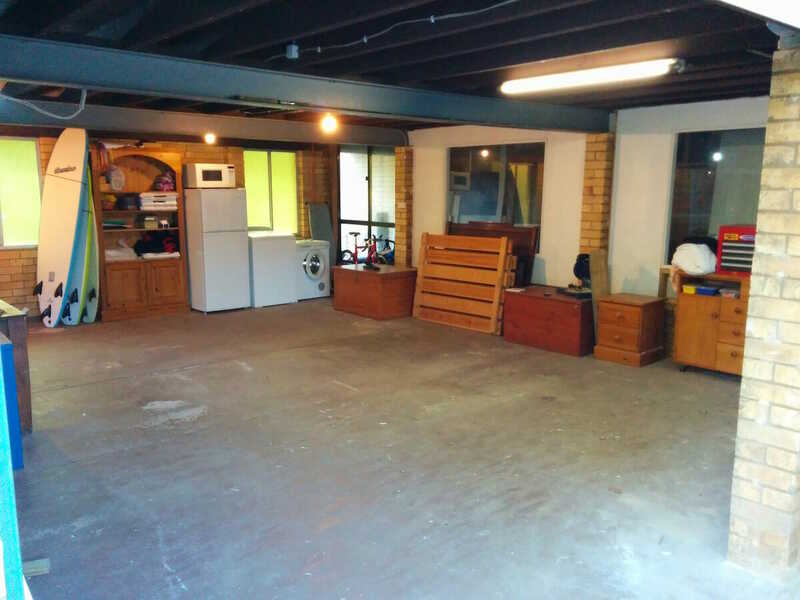 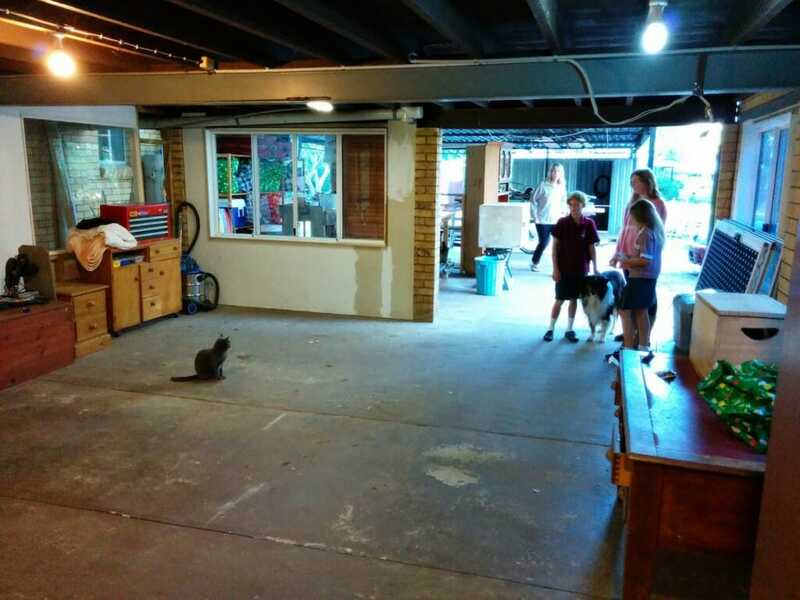 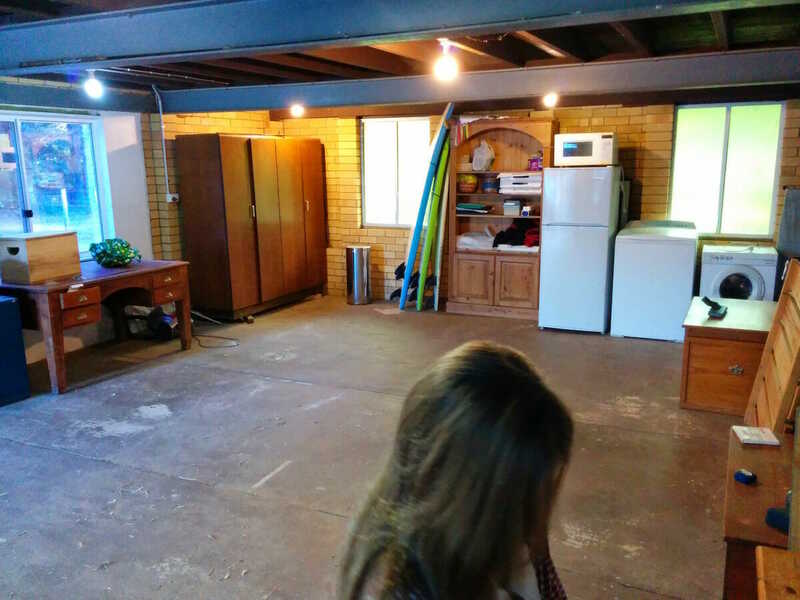 Here are some ‘before’ photos of the Music Room, the main objective is to have a open space.